5 feet of 1×10 board, cut into one 35 inch and one 25 inch length. We chose poplar because it was smooth and straight. Will probably sand the edges round at some point. Go to the hardware store right before close and get dirty looks. Pay $50. Go home. Mark some lines and circles. Drill holes. Tighten nuts. 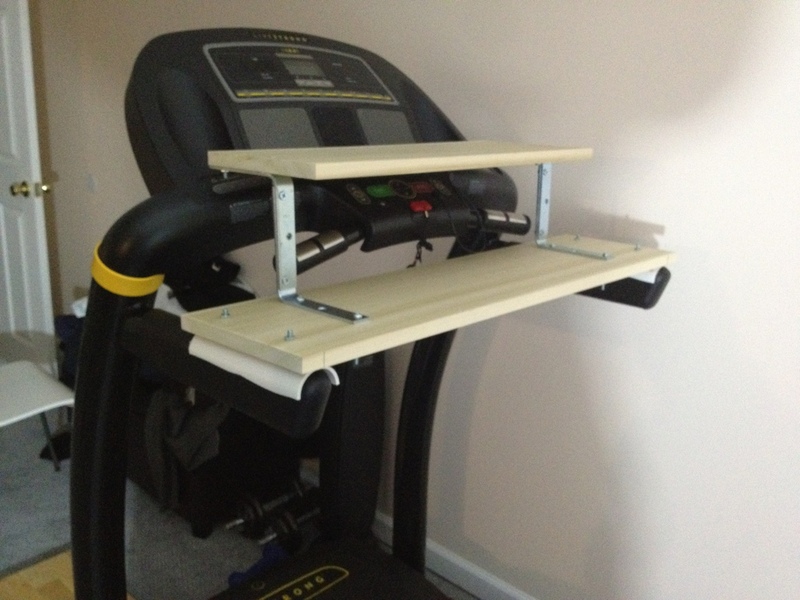 Put a piece of felt inside the PVC pipe between the bolt head and the treadmill arm on each side. The end. We built a treadmill desk!